Who says you have to wear white on your wedding day? Find a gown in your perfect shade and let your true colours shine. 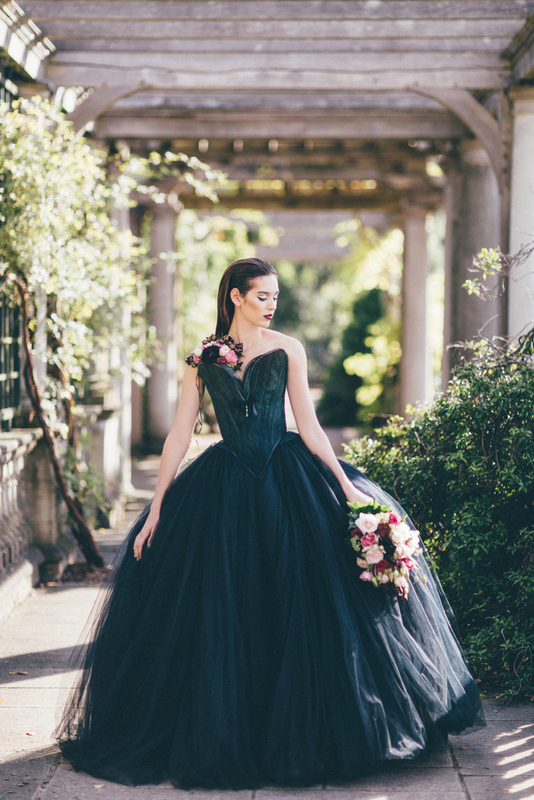 Let’s start off boldly with this dramatic black wedding dress, photographed by wedding photography expert, San Shawe from Sanshine Photography. 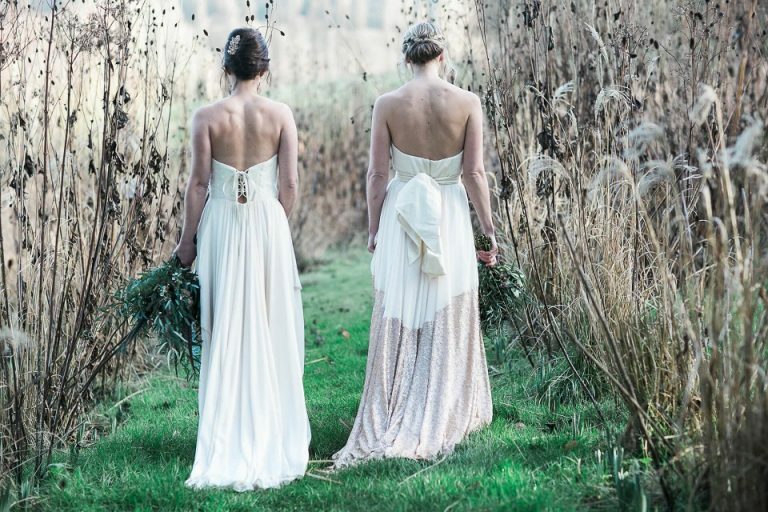 The dress, by Bridal couture designer Chantal Mallett, is daring but exquisite. Live out your fashion dreams in a gown like this. 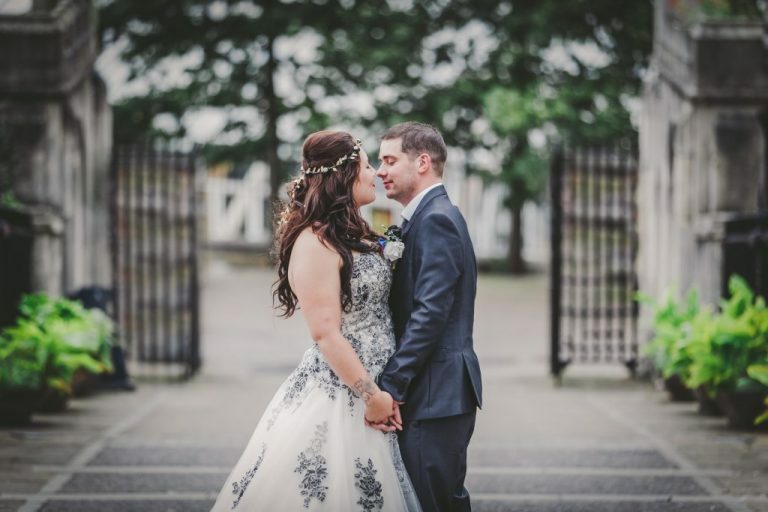 At the other end of the spectrum, we have this soft and feminine wedding dress from Mrs. W Tutus, talented bespoke wedding gown designer based in Berkshire. The creative behind it all, Kate Winchurst, can make you the dress of your fairy tale dreams. 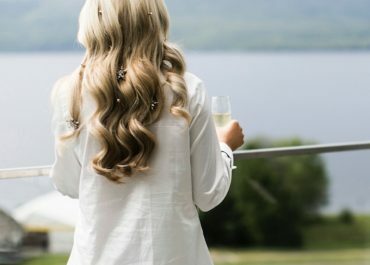 We love this look, perfect for brides who plan on their wedding day being as fun and laid-back as it is pretty. 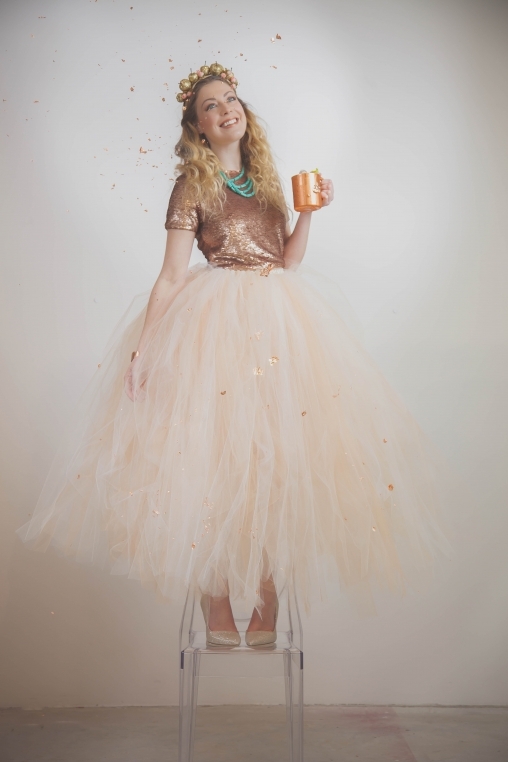 We love how the light blush tulle skirt is juxtaposed by a rose gold sequin top- super gorgeous! 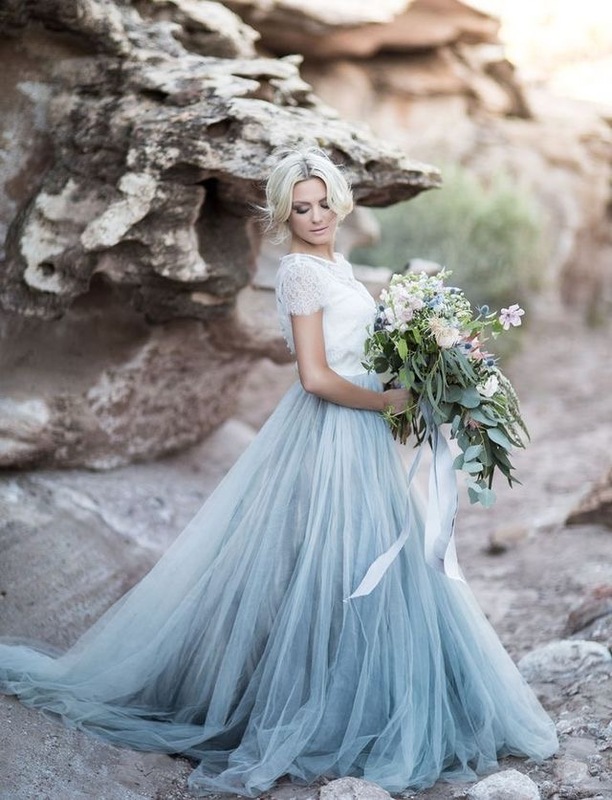 Light blue coloured dresses are another stunning wedding trend we’re loving at the moment. Feminine but elegant, be your own something blue on your big day. If you’ve got your heart set on a white wedding gown, but still want to standout a little, search for something with that extra flourish. 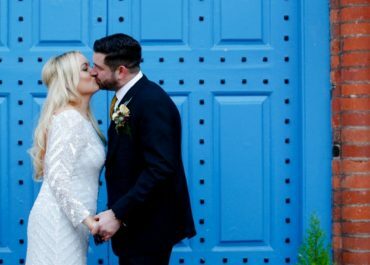 There are so many options out there, such as this gorgeous dress with a half-sequined skirt, beautifully captured here by Berkshire-based wedding photographer, Samie Lee. We love how the touch of sparkle doesn’t overpower the dress, but merely enhances it’s beauty. Another way to embrace the tradition of a white wedding dress whilst adding a contemporary twist, is with stylish separates. This bride has paired a sleek and simple skirt with a crystal embellished top. A tiny flash of skin gives the elegant look a youthful yet decadent edge. We are seeing more and more brides embrace prints and patterns on their wedding day. From embroidered fabric, to a mosaic of beads, to a full on print- we just love it. 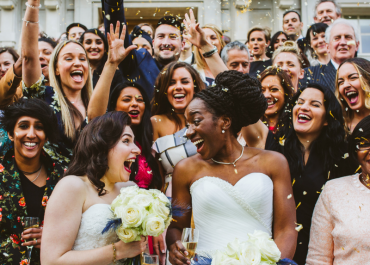 KLR Snaps photographed this gorgeous wedding, where the bride chose a dress adorned with an intricate floral print. The end result is nothing short of fabulous. 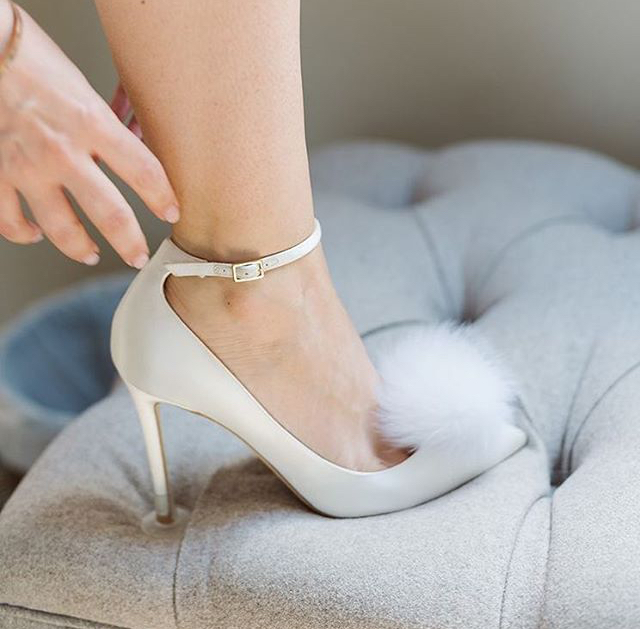 If you’ve found your dream wedding dress, but want to add a little something extra to your look- it’s all about find the right shoes. These bold blue beauties are just dreamy and will add a flash of colour to your look. For a day as magical as this one, surely there can never be enough glitter. 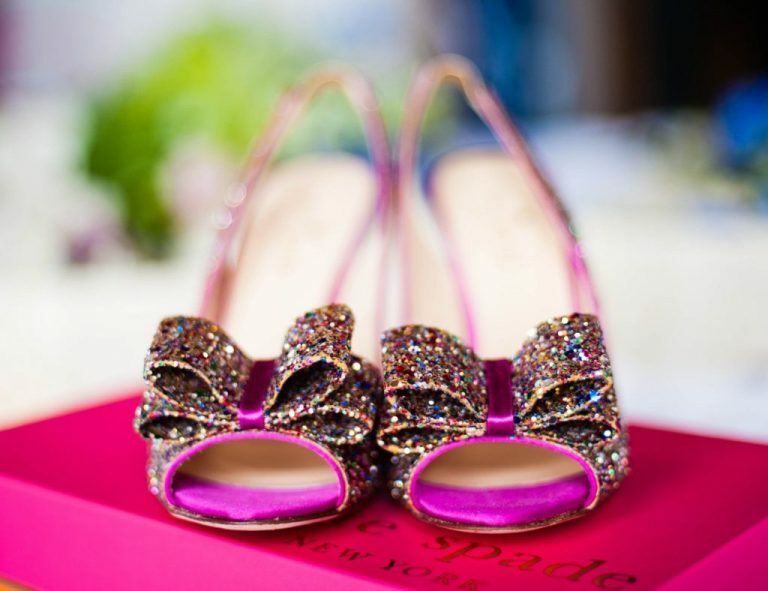 We love this sweet pair of pumps, adorned with sparkling bows- a gorgeous image shot by another of our lovely wedding photographers, Nicola Norton. For a real touch of luxury, these Jimmy Choo heels decorated with a puff of fluff are practically a necessity. Simple, fun and oh-so-stylish. 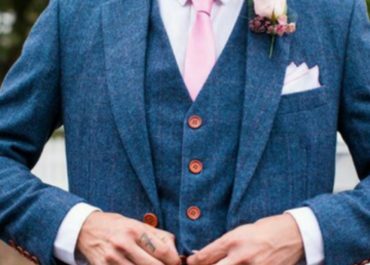 If you’re getting married in the winter, don’t let the cold jeopardise your look. 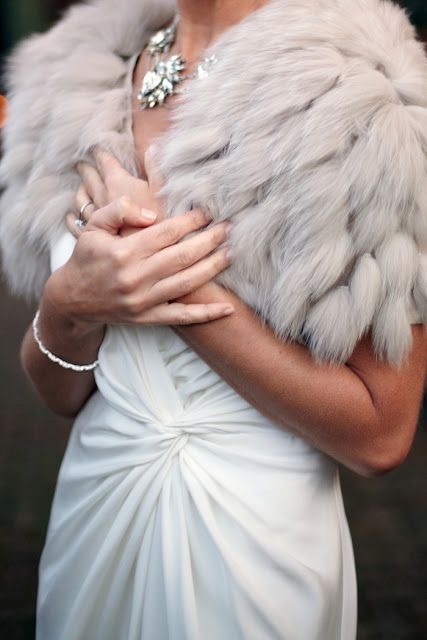 Find a stylish shrug or wrap to elevate your bridal style. 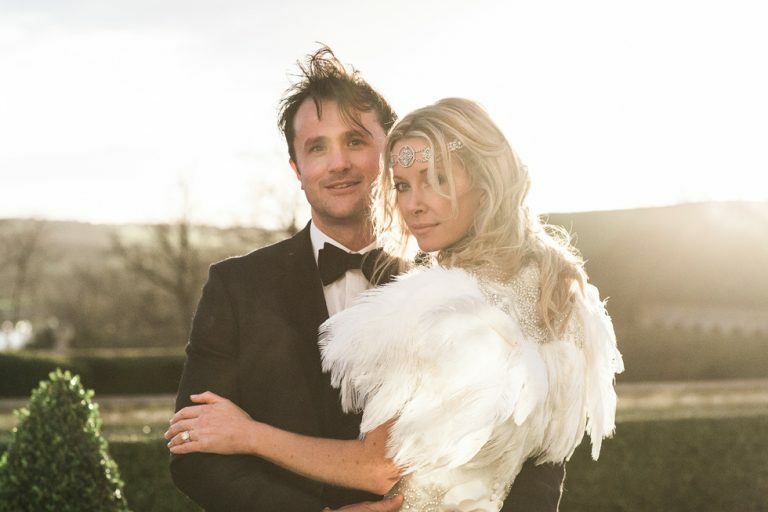 We love this feather number, worn by gorgeous Bride, Anouska and photographed by Samie Lee Photography. 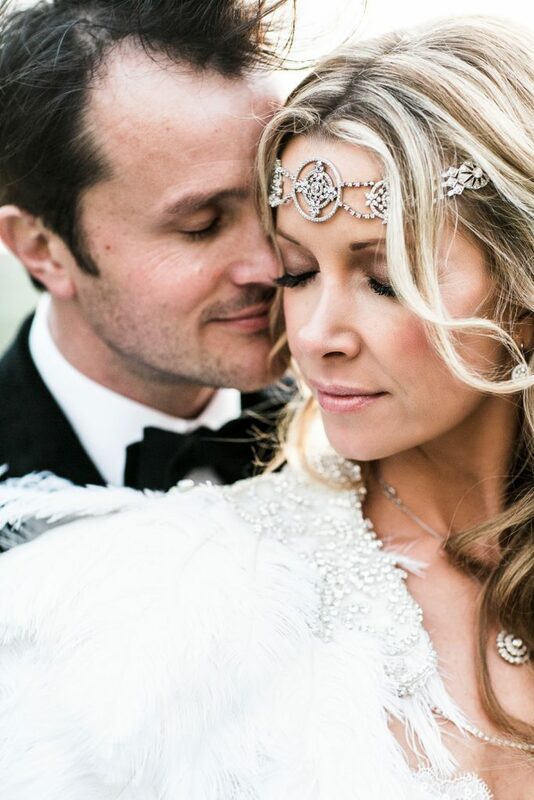 Read more about Anouska and Greig’s winter wonderland wedding here. If you’re not sure about feathers, then what about a bit of faux fur? As cosy as it is stylish! Finally, what about accessories for your hair? It’s not every day that you get to dress up your locks with fabulous headbands and hair pieces, so take advantage of this opportunity. 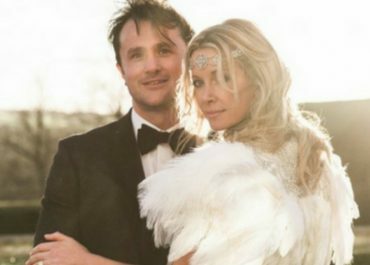 Anouska makes another appearance here with a headband that somehow manages to be both boho-chic and decadently glamorous at the same time. Or how about fresh flowers? The floral experts over at Herbert & Isles can create you something gorgeously vibrant and completely bespoke to you, from freshly cut blooms. 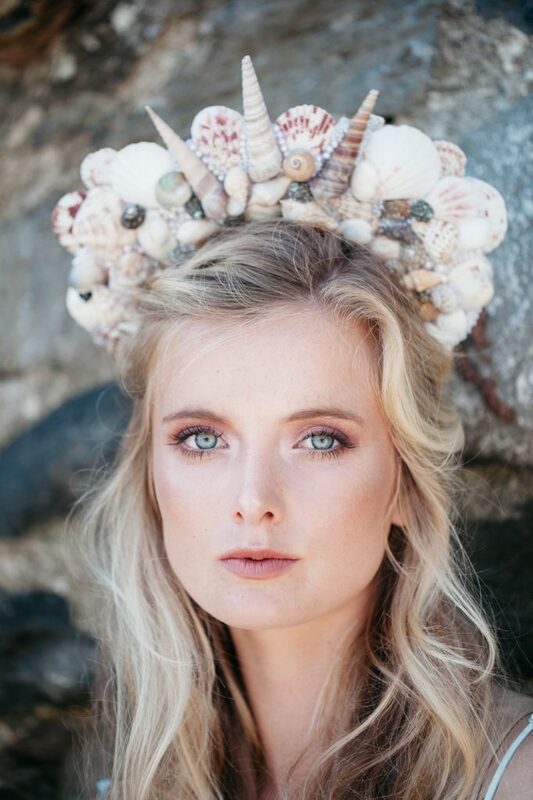 We also love these bespoke hair accessory creations by Claire Austin. 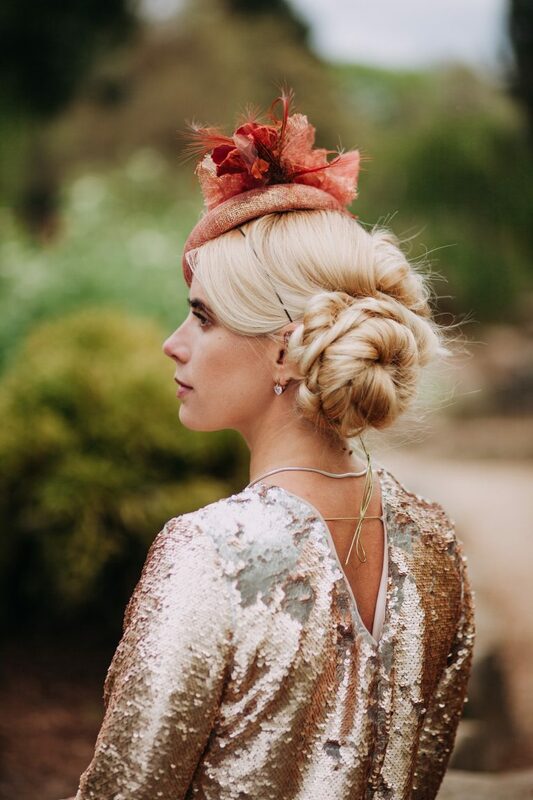 From boldly decadent hair pieces to something elegantly understated, the South West Wedding Awards Winner will turn your dream wedding hair accessories into a reality. Another lovely hair option is a classically beautiful hat, like this one. From Jackie Kennedy to Kate Middleton, hats and fascinators have been the accessory of choice for some of history’s most elegant style icons. Just remember to discuss it with your hair stylist! This particular look was crafted by artistic hair and make up expert, Chloe. 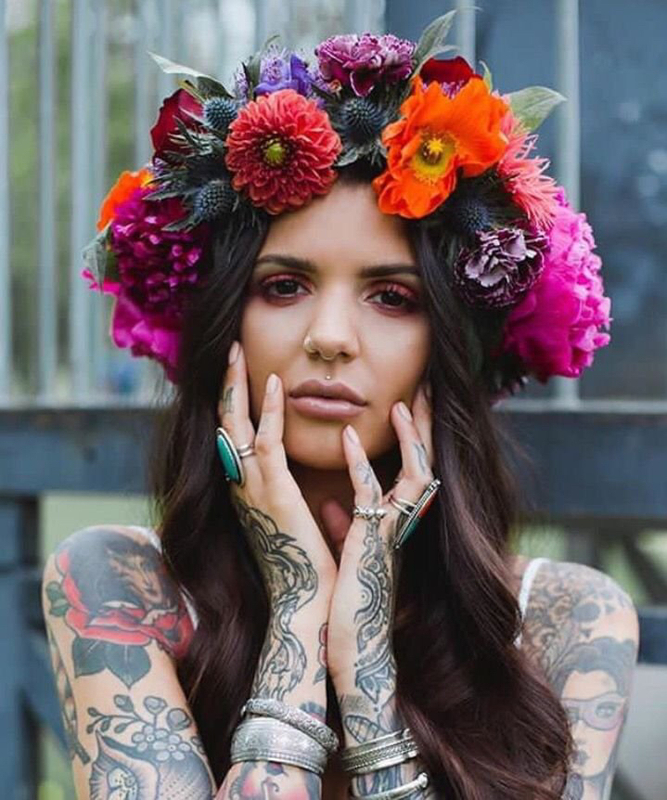 If you’ve found your dream dress, but are in need of alternative hair and beauty inspiration- we’ve got you covered! Read our stand out beauty blog post here.